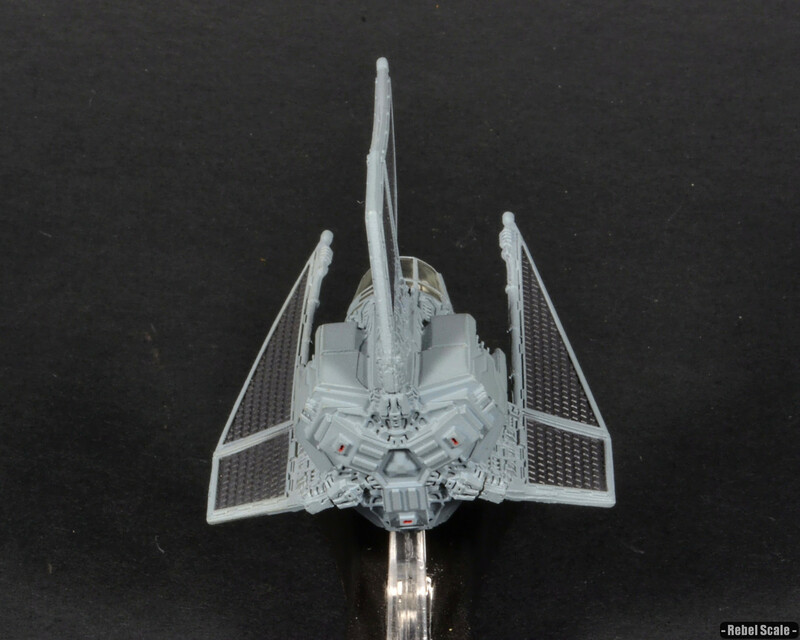 First seen in the PC game Rebel Assault II, this 1/144 Anigrand kit was usually sold with the Slave I; however, I bought this one separately on eBay. The kit, while beautiful, had some serious problems with the cockpit alignment. I had to cut off the cockpit pod completely to rotate it to the correct angle. I also had to rework the canopy a little to work with the newly aligned cockpit. This helped though, in that I got to add a lot of details to the cockpit (including control panels and the staggered seats). Painting was pretty straightforward: light blue/grey hull with black (or near black) panels. 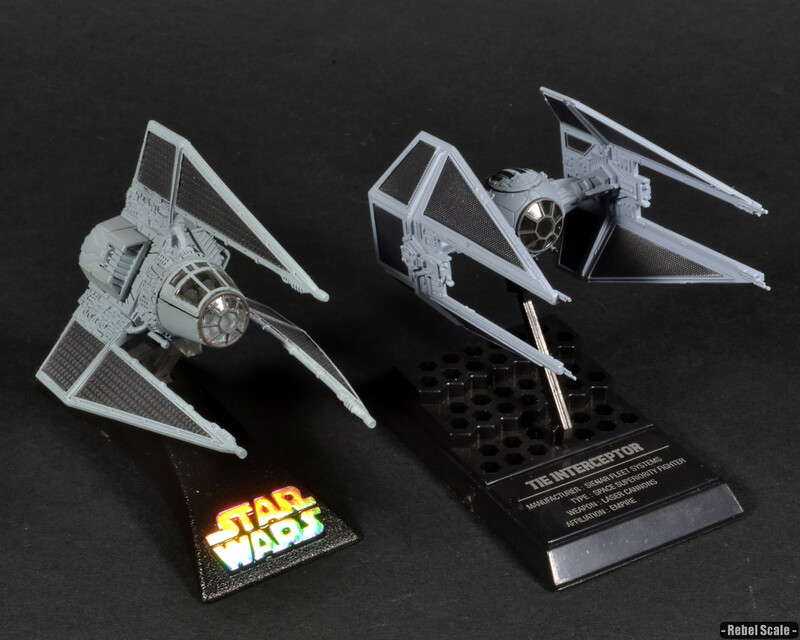 I tried to keep the paint scheme accurate to the game Rebel Assault II. 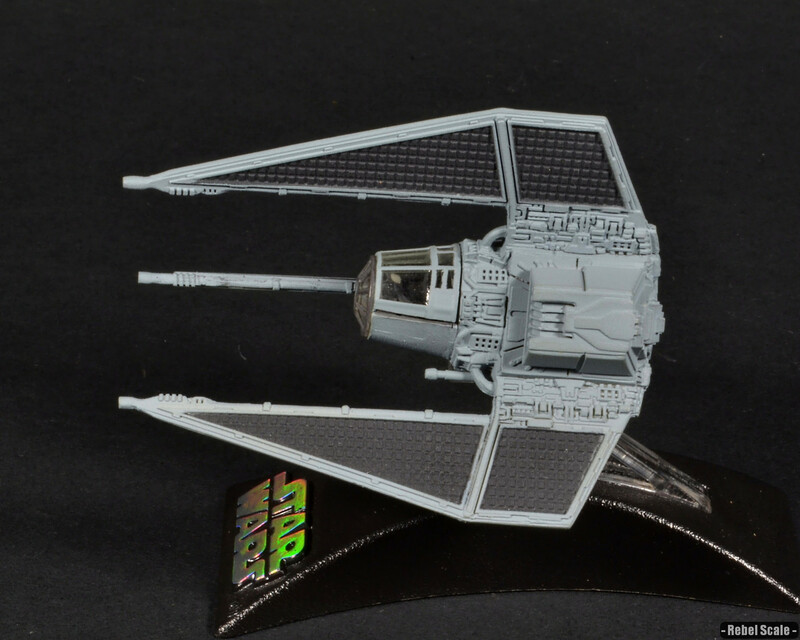 This is why the canopy lines are not symmetrical and the front canopy is a darker grey. 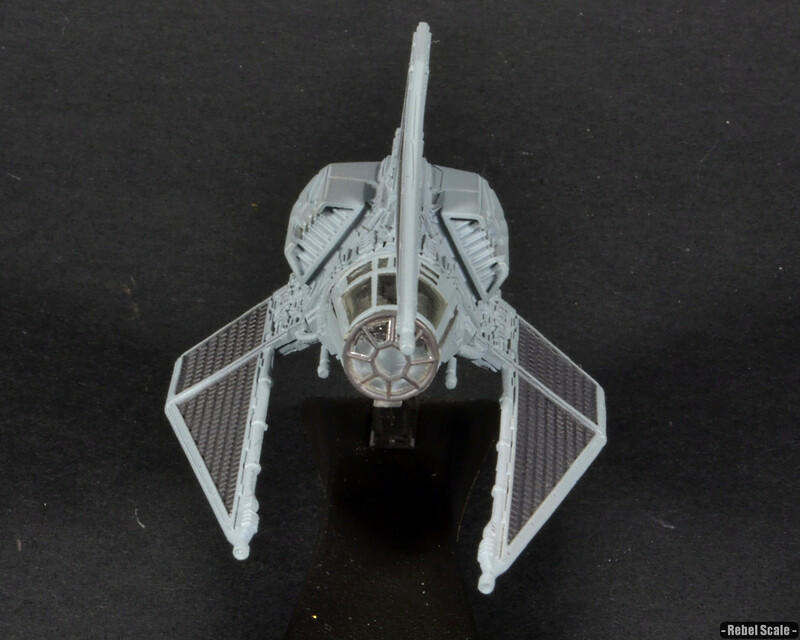 The Phantom V38 Assault Fighter was part of secret Imperial project to create a fighter with a specialized cloaking device. 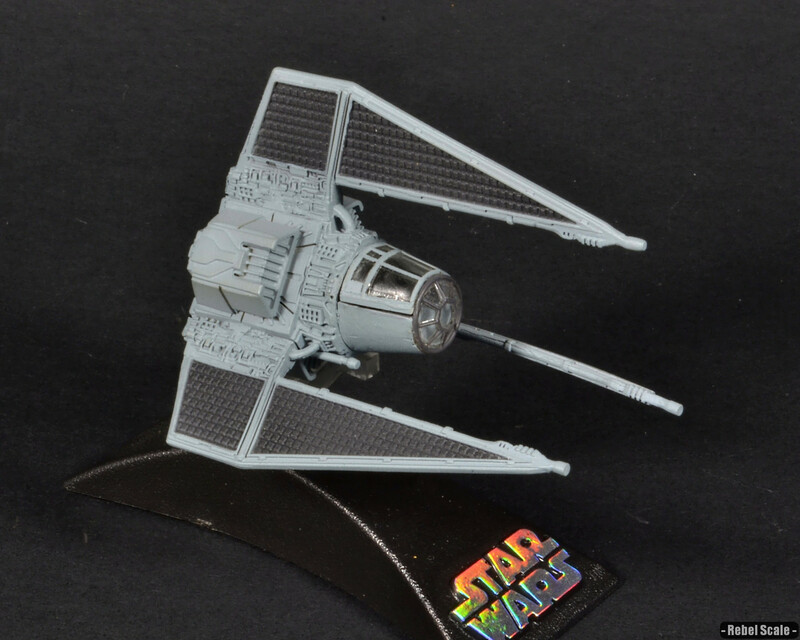 Referred to as the TIE Phantom by pilots, the cloaking fighter featured 3 fixed laser cannons on each wingtip as well as two additional cannons directly under the cockpit, which could slightly rotate. Pilots would choose to redirect power to the fixed cannons or rotating ones. Additionally, the TIE Phantom had three Ion engines, giving it an impressive speed. However, with the cloaking device engaged, the TIE Phantom could not fire and was much slower. To counteract this, the craft featured both a pilot and a gunner, who would constantly cycle the power to weapons, engines, or the cloaking device. 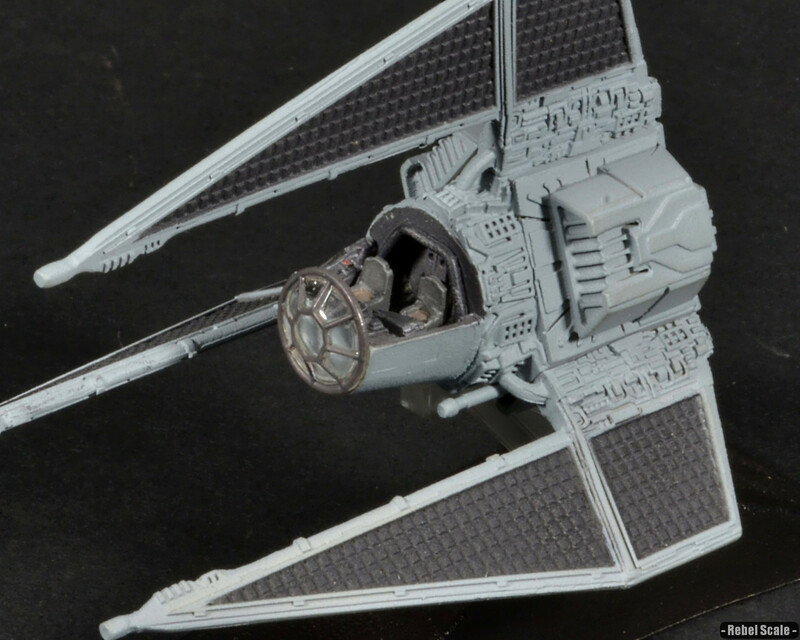 TIE Phantoms would emerge from their cloaked state, redirect power to the guns, and attack. Then they would direct power to the engines to briefly escape before cloaking again. 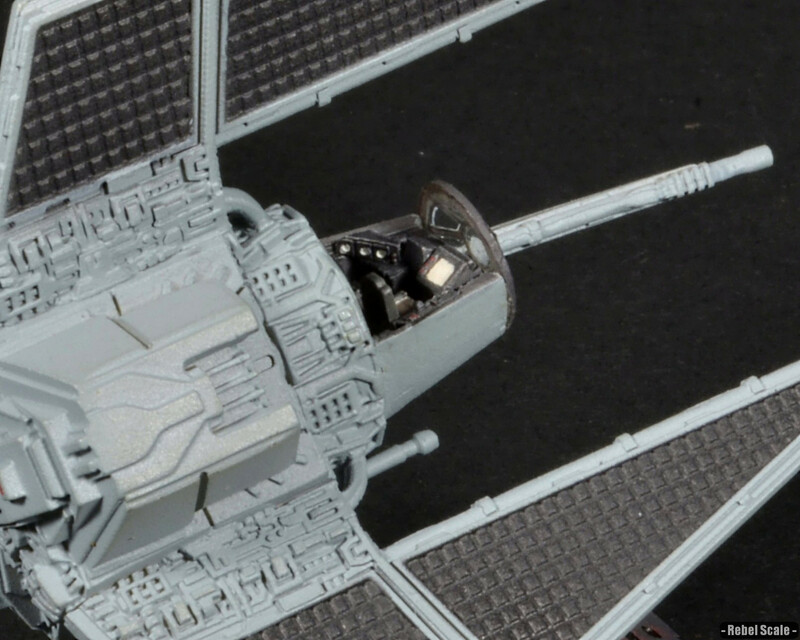 While the fighter performed admirably, the Rebel Alliance accidentally discovered a stolen transmission detailing the ships and manufacturing facility. A surgical strike from inside the base destroyed most of the fighters and the project, but a single TIE Phantom piloted by the Rebels escaped. As luck would have it, the fighter self-destructed shortly after landing, thus destroying the last example of this unique craft.